Having mostly sat out the global recession, Israel's economy is booming  and Tel Aviv is its seaside cultural and commercial HQ. High-end restaurants are debuting monthly, boutique hotels are opening their doors and a nascent contemporary-art scene is garnering global attention; once no-go neighborhoods are being spruced up  and properties snapped up  by sharp-eyed foreigners. Throw in year-round sunshine, 10 miles of seafront and a now iconic collection of pristine Bauhaus architecture, and Tel Aviv emerges as the perfect mix of the contemporary and the classic  a place where the locals love to chill at cafés, sizzle on the beach and otherwise block out the regional conflict around them. 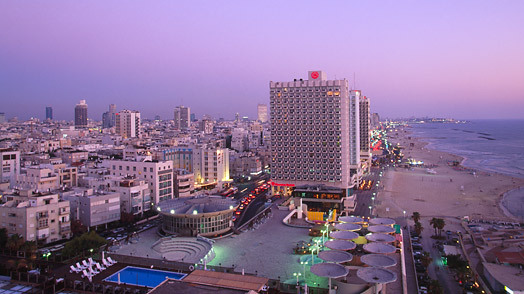 Tel Aviv Guide: Find travel deals, hotels and more!